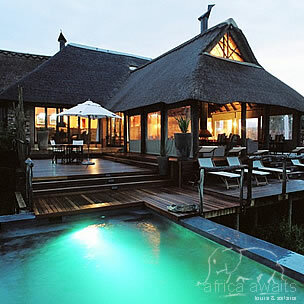 Discover wildest Africa in true luxury at the Pumba Private Game Reserve in South Africa. This Eastern Cape safari lodge has achieved a 5-star rating for its unrivalled beauty, world-class service and the abundance of wild animals on its doorstep. In addition to the famous Big 5, guests of the game reserve have the rare opportunity of seeing the magnificent White Lion, stalking prey and lazing under the trees in its natural environment. This South African retreat is equipped with two intimate lodges (the Water Lodge and Msenge Bush Lodge), each boasting their own touch of opulence. In addition to this inviting accommodation, complete with outdoor showers and private pools, guests are invited to savour the flavours created by the qualified 5-star chefs. To complete the Pumba experience, the Msenge Bush Lodge’s Soul Spa is guaranteed to work off the last remnants of the stress of city living. Feel the essence of the authentic South African bushveld in style at Pumba Private Game Reserve. 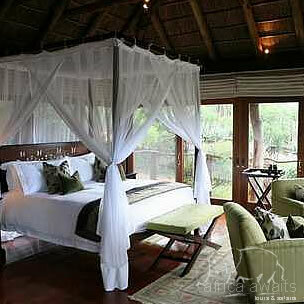 Pumba Private Game Reserve is a malaria - free game reserve in South Africa. Msenge Bush Lodge comprises 11 thatched chalets, each characterised by the extensive use of glass that gives visitors the sense of being a part of the Eastern Cape bushveld. These private bush chalets, set within the heart of any safari-lover’s dream landscape, boast dreamy bathrooms with stunning views and opulent bedrooms with private wooden decks. For an authentic experience of the African bushveld, the outdoor shower and private plunge pool invite weary guests to relax and revitalise themselves in complete privacy. Guests are urged to embark on driving and walking safaris, accompanied by Pumba’s expert rangers and guides. The animals on the reserve guarantee delightful sightings and memorable photographs. Take advantage of the 5-star cuisine in the cosy restaurant, or under the star-littered night skies. The main deck has stunning views of the animals grazing and is best enjoyed while sipping on a cold beer or a glass of wine. Alternatively, there is a log fire inside for the chilly winter nights. 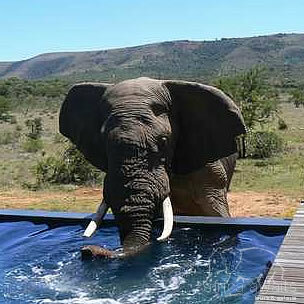 With your holiday, safari or business trip from in to Pumba Private Game Reserve in Eastern Cape.